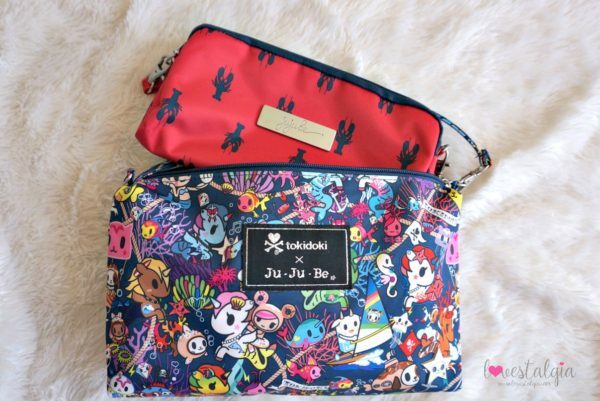 On June 2, Ju Ju Be announced the release of their newest Tokidoki collaboration called Sea Punk! 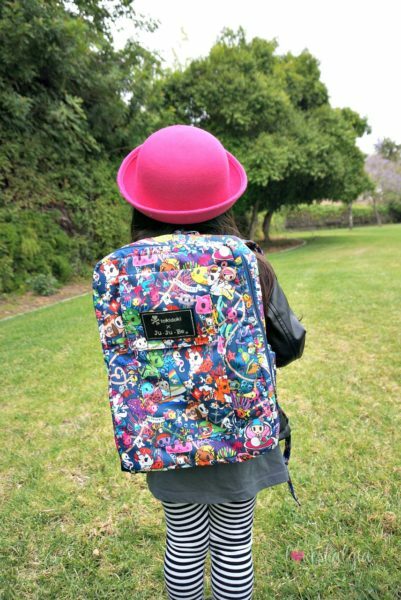 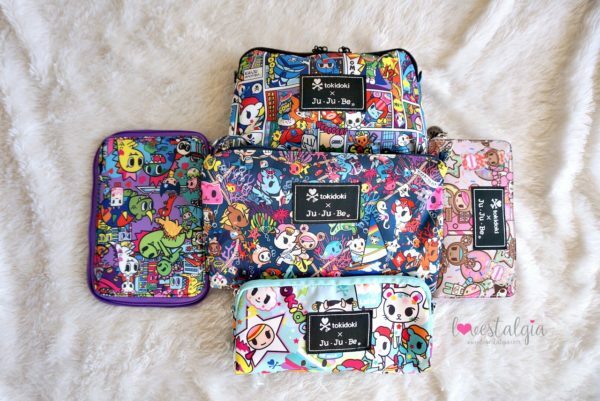 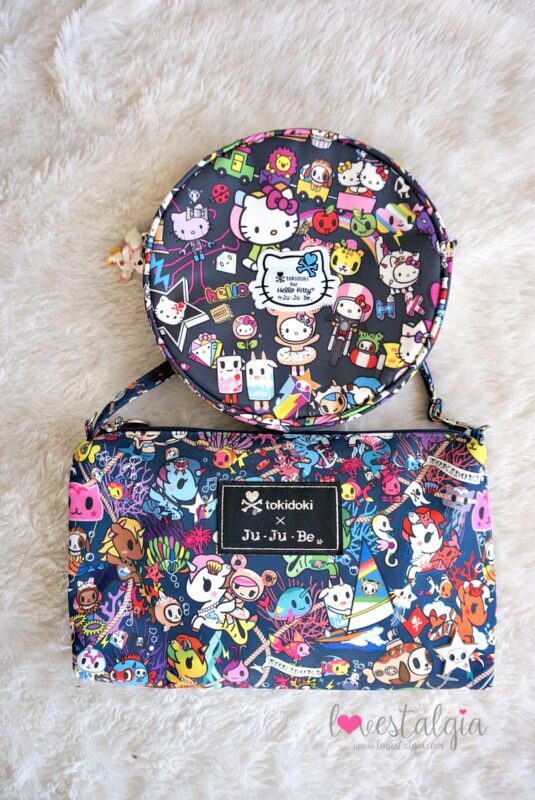 This print may look familiar because it features some beloved Tokidoki characters from their popular Sea Amo print. 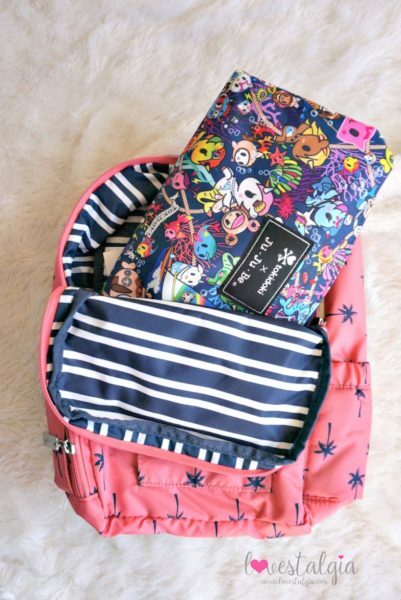 Sea Punk features mermaids, mermicorns, and sea creatures set on a bright navy blue background with a hot pink and white striped interior. 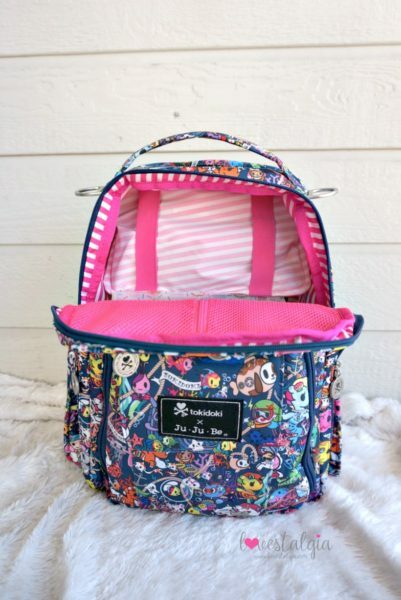 It’s such a colorful print that’s sure to be a hit this summer! 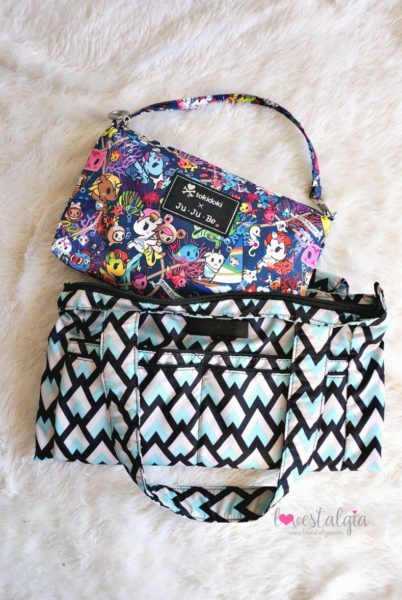 Here’s a closer look at the bag plus some comparison pictures with other Ju Ju Be prints in my collection. 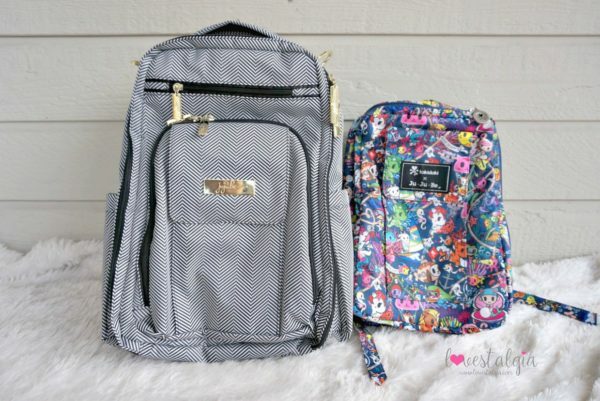 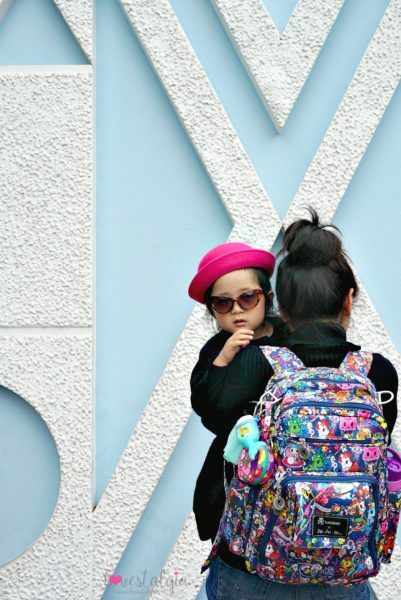 One of my favorite styles of Ju Ju Be bags is their Be Right Back backpack also known as the BRB. 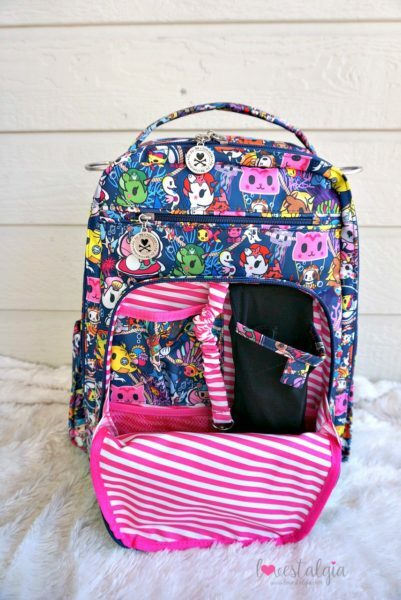 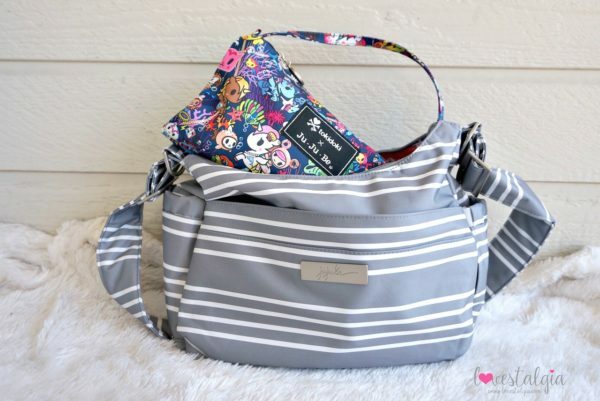 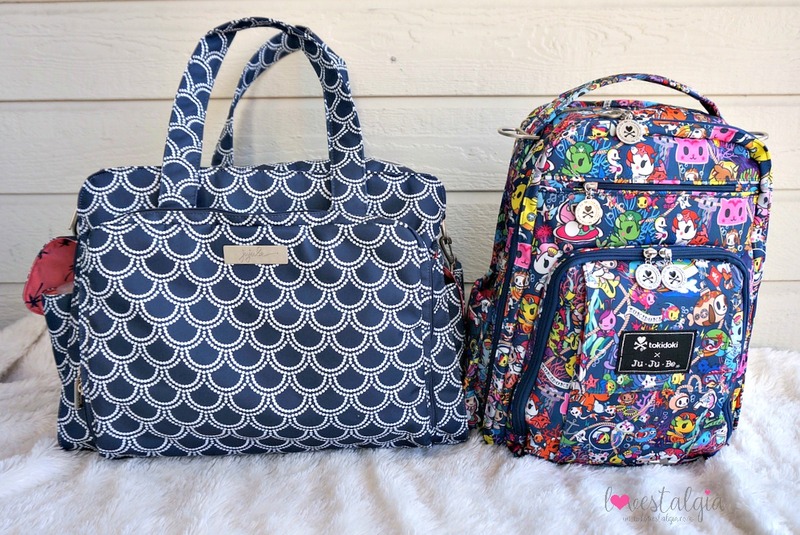 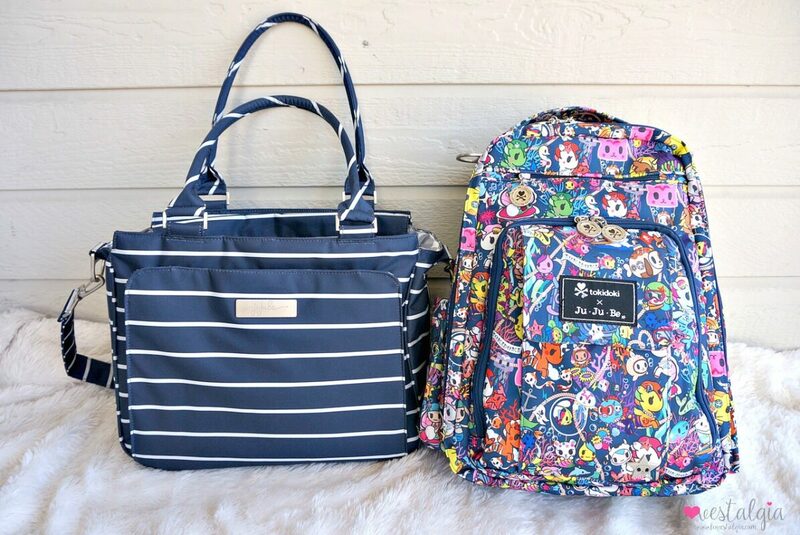 I love this bag because I can be hands free when I’m out and about with A. It’s the perfect bag to carry everything I need for Disney days, park days or just for ever day. The Sea Punk BRB is so colorful! I personally love the hot pink striped interior. 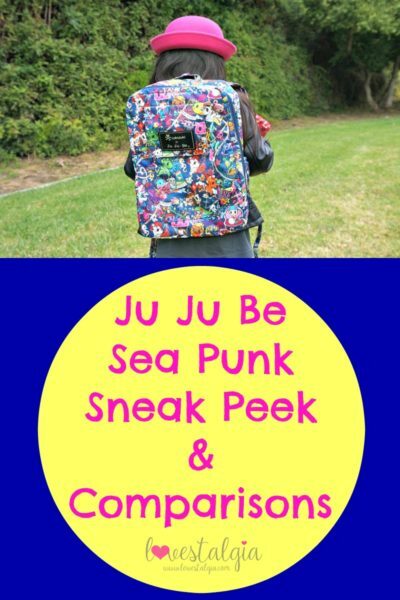 Here are some pictures of Sea Punk compared to some of the Coastal Collection bags. 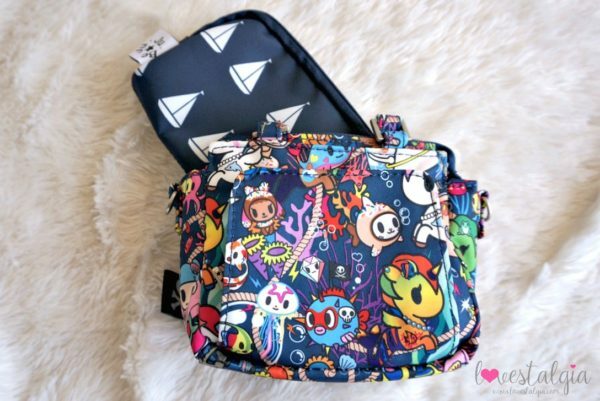 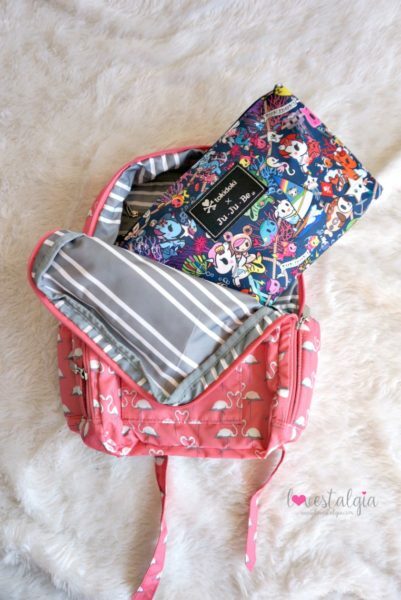 Sea Punk will be available in the following bag styles: Be Tagged, Paci Pod, Be Neat, Fuel Cell, Be Quick, Be Prepared, B.F.F., Changing Pad, Be Right Back, Super Be, HoboBe, Messenger Strap, MiniBe, Be Light, Starlet, Super Star, Be Classy, Be Set, Micro Tech, Mega Tech, Be Ready, Be Rich, Be Spendy and Be Charged. What do you think of Sea Punk? 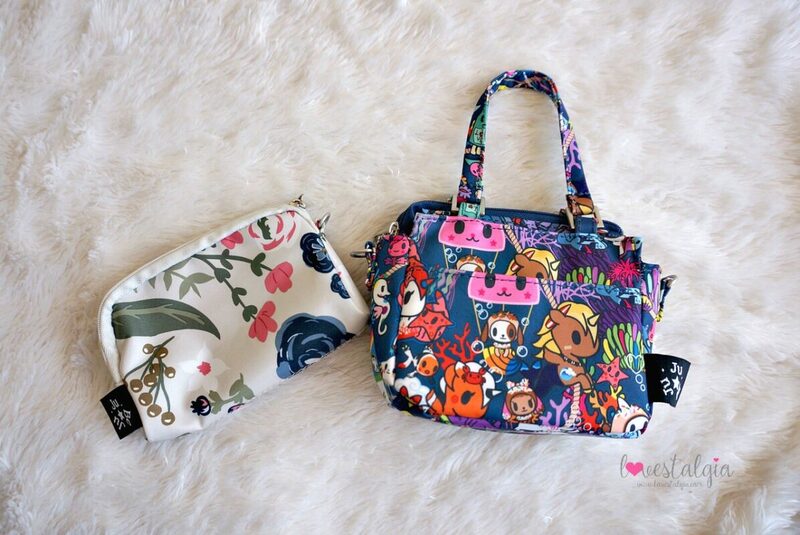 Are you excited for the collection? Be sure to have your list ready on June 27th! 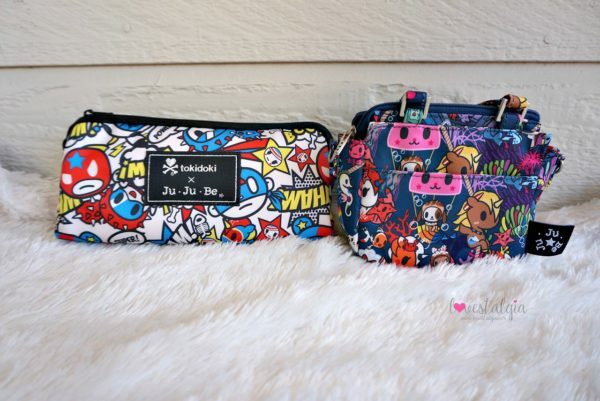 Nest week, I’ll have another post comparing the lining with various Ju Ju Be prints! 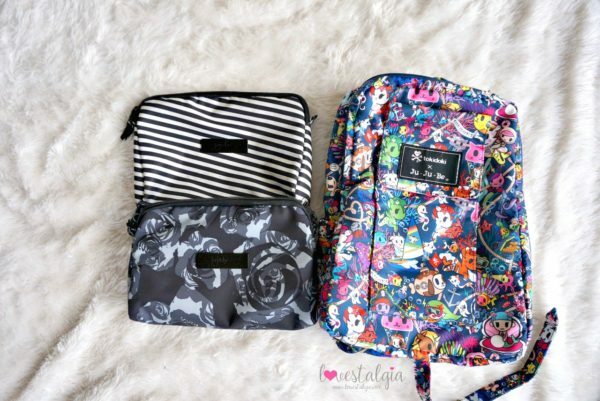 Check out my other Ju Ju Be posts on Rosy Posy, Coastal Collection, Coastal 2, and Coastal 3. 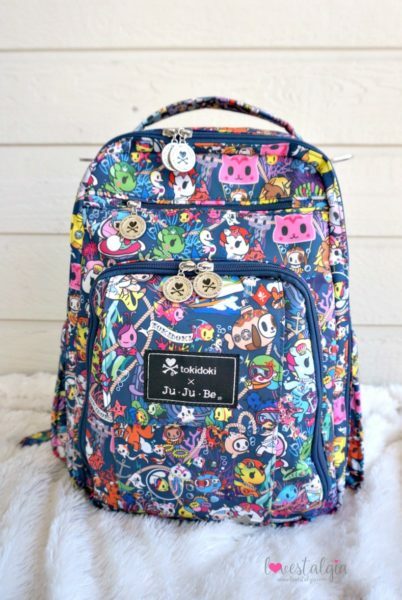 What is that adorable mermaid hand sanitizer clip and where did you get it.? Hi! It’s from Bath and Body Works!